AMDF Programme Assistant, Joy Gadani said in a statement that the project is aimed at strengthening the scope and capacity of participants within the next one year as well as building capacity of reporters, especially those without journalism background, to an acceptable basic journalism level. 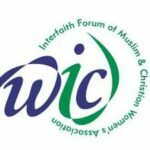 Other objectives of the project, the statement highlighted, are to train reporters on how to carry out computer aided research for integration into reporting, train reporters on how to mainstream the social media into their work, and introduce reporters to basic data journalism. The training, the statement emphasized, is part of AMDF’s mission of providing professional support to media. “By its design, the project will involve face to face meetings, practical sessions, field trips and newsroom visitation, among others. “The project is being anchored by a veteran journalist, Mr Andrew Fadason, who had worked in both broadcast and print media. 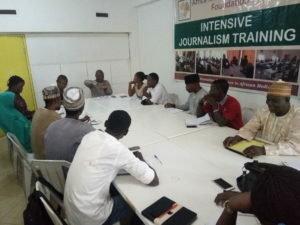 “At the opening on Monday in Kaduna, Northwest Nigeria, Mr. Fadason called on participants “to have an open mind to learn and share ideas,” this he believes will help participants acquire first-hand experience and practical lessons that would help them stand out as proud journalists in the Society. 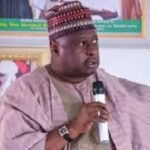 “Also speaking, Executive Director of AMDF, Mr. Iliya Kure said the training will add value to the skills of participants and address ethical issues in journalism, especially in Nigeria and Africa at large. 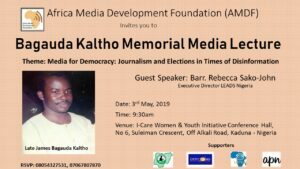 “AMDF has trained significant number of journalists in Nigeria on specialized reporting, online journalism, social media for journalists, budget monitoring & tracking, Investigative Journalism and Development Journalism, among others”, the statement concludes. Africa Media Development Foundation (AMDF) is a non-governmental, non-political and non-profit media development organisation that supports Journalists, Media Organisations, Development Communication initiatives and promotes freedom of the press.